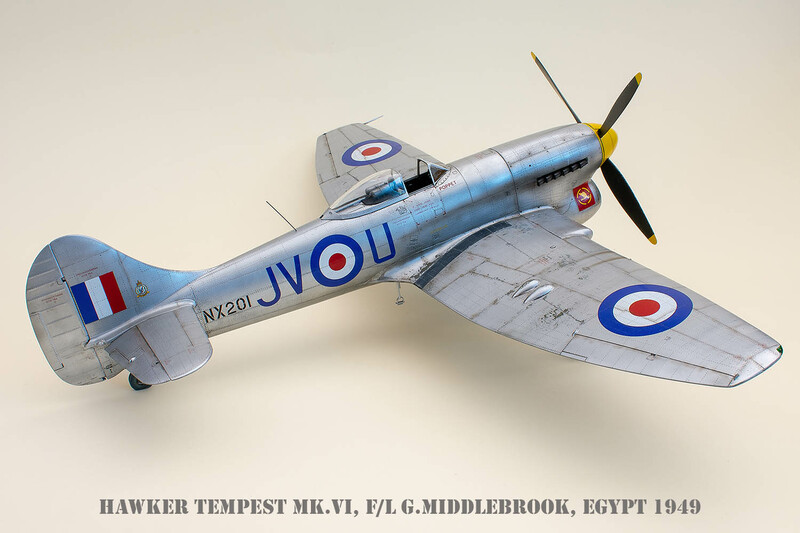 The 1/32 scale Tempest Mk.VI was one of our new kits for this year's April. 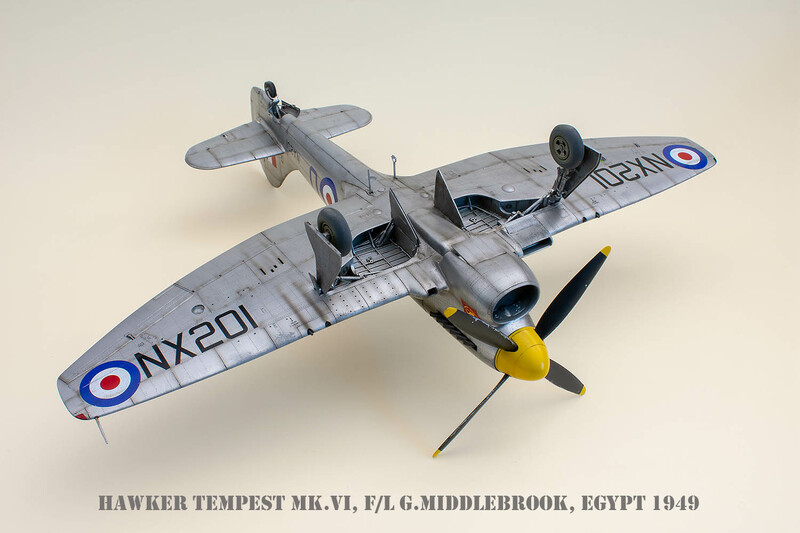 Our friend and long-time collaborator Mila Hraban is no doubt a prolific modeller who has obviously got the Tempests under his skin as you can see here for yourself. And now, in mid May, he reports he has finished his Tempests number 13 and 14. His first ten Tempests were showcased on our blog already earlier (worth watching here and also here). 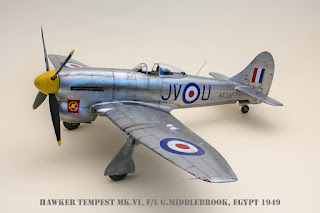 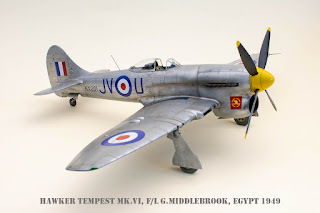 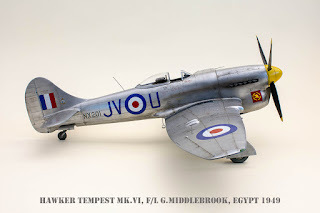 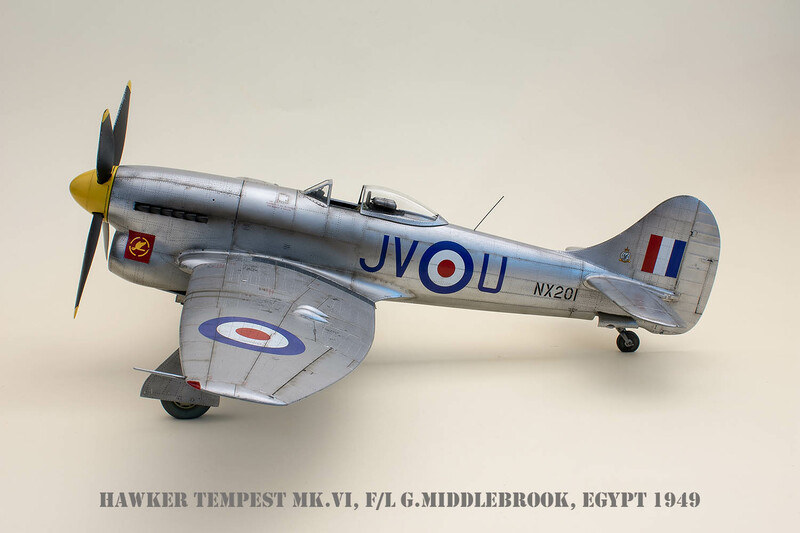 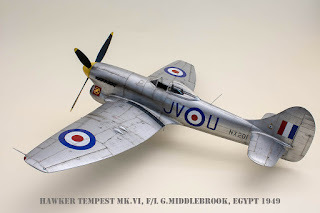 The Tempest with number 14 is a Mk.VI machine which flew in Egypt originally wearing a standard fighter scheme and later on oversprayed in so called Silver Speed finish. 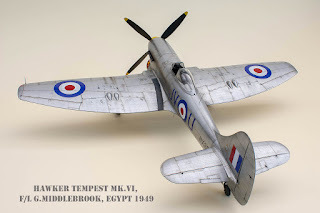 And what is even more interesting, Mila has bravely declared his aim to build no less than a total of twenty Tempest models, so let's keep our fingers crossed! 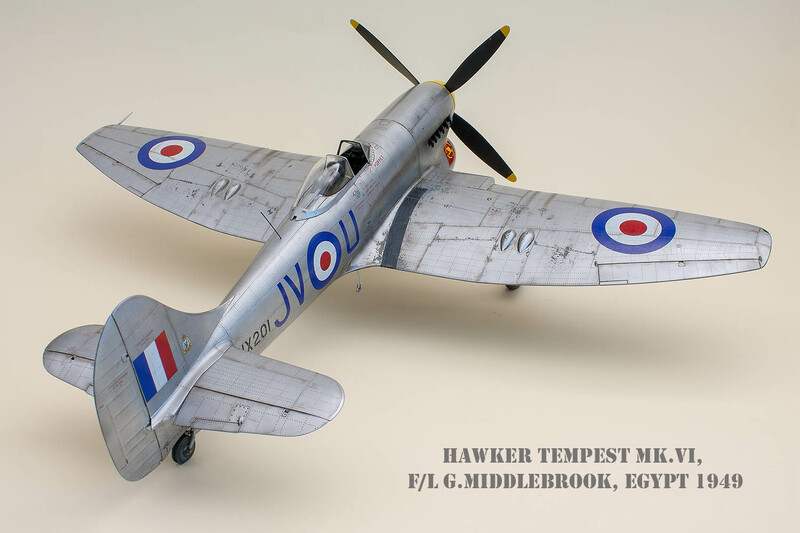 We will keep you updated on his achievements.